The new Ford Mustang will make its Supercars debut on February 14. 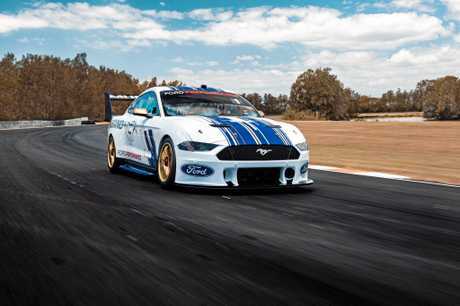 FORD'S racy new Mustang has broken cover ahead of the Supercars season. The heavily modified Mustang was homologated in December to ensure parity between all the Supercars makes. While testing has been ongoing for months, the final look of the iconic Fastback had been camouflaged until today's reveal. Its inaugural race will be the Superloop Adelaide 500 which starts on February 14. 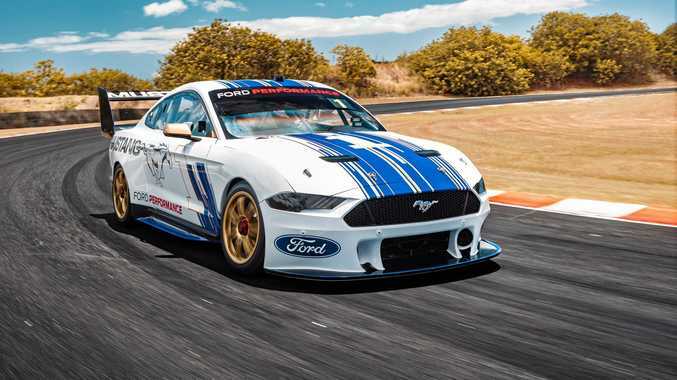 Pundits are predicting this could be the begiunning of an American invasion with Walkinshaw Andretti Racing intent on racing a Chevrolet Camaro, while DJR/Team Penske and Tickford Racing will swap Falcons for Mustangs this year. 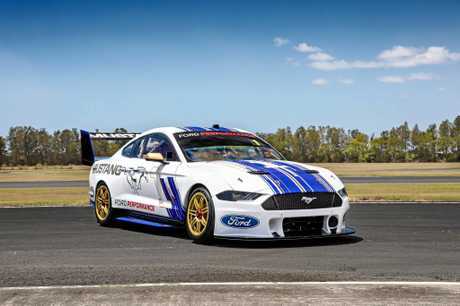 Ford Mustang's Supercars debut: Ford has released images of the new Mustang that will compete in Supercars this year. "This is an historic moment," said Ford Australia CEO Kay Hart. "To see the project come together has been incredibly exciting for everyone involved, and today marks the start of Mustang's 2019 season. Mustang belongs on the track and everyone at Ford and our fans have been waiting for this moment." Ford cut its ties with the sport at the end of the 2015 season as part of a restructuring of its marketing priorities as the company prepared to end its car manufacturing operations in Australia. In recent years, both Tickford and DJRTP have lobbied the company for permission to develop a Supercars version of the Mustang. 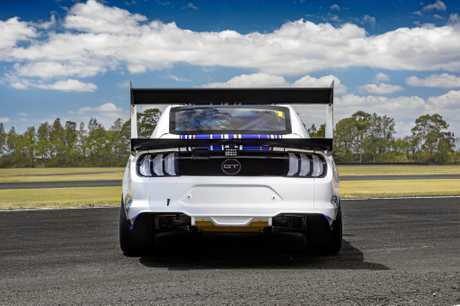 Mustang's return to the championship is also made possible through Supercars' Gen2 rules platform, which opens up the championship to two-door cars and non-V8 engines, although significant work will be needed to allow the Mustang's body shape to fit over the mandated control chassis. Six Mustangs will line up on the grid this year competing for Shell V-Power Racing, Tickford Racing and 23Red Racing. 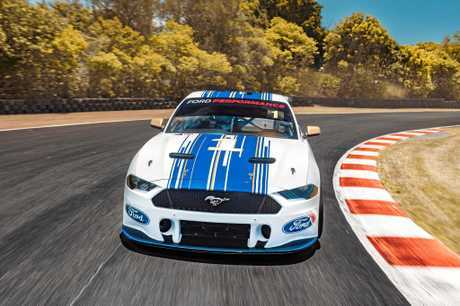 Reigning champion Scott McLaughlin will be one of the drivers piloting the new Mustang in 2019.